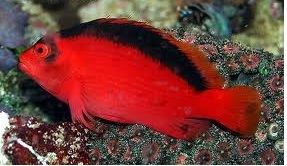 The Flame Hawkfish, also known as the Brilliant Hawkfish, has a bright red body with dark markings along the dorsal fin and around the eyes. 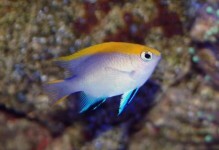 They are a very personable fish, and are great for reef aquariums as long as there are no small shrimp maintained in the aquarium. 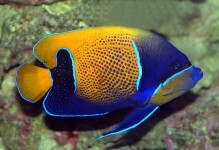 It requires a 30 gallon or larger aquarium with plenty of live rock for structure and hiding. 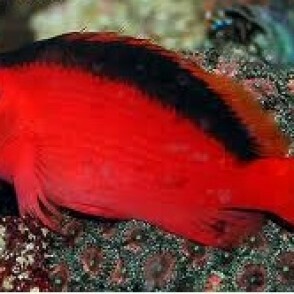 They are mostly a peaceful fish that spends most of its time perching and swimming within the branches of hard corals. 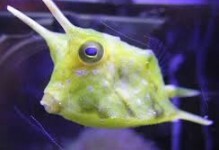 Use caution when adding to an aquarium with small species of bottom dwelling gobies and blennies. They are bottom dwellers and tend to “hang out” on rock perches, waiting and readying themselves for food to come by. 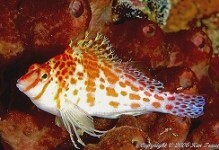 The Flame Hawkfish diet should include a variety of marine meats, frozen preparations, and live feeder shrimp.